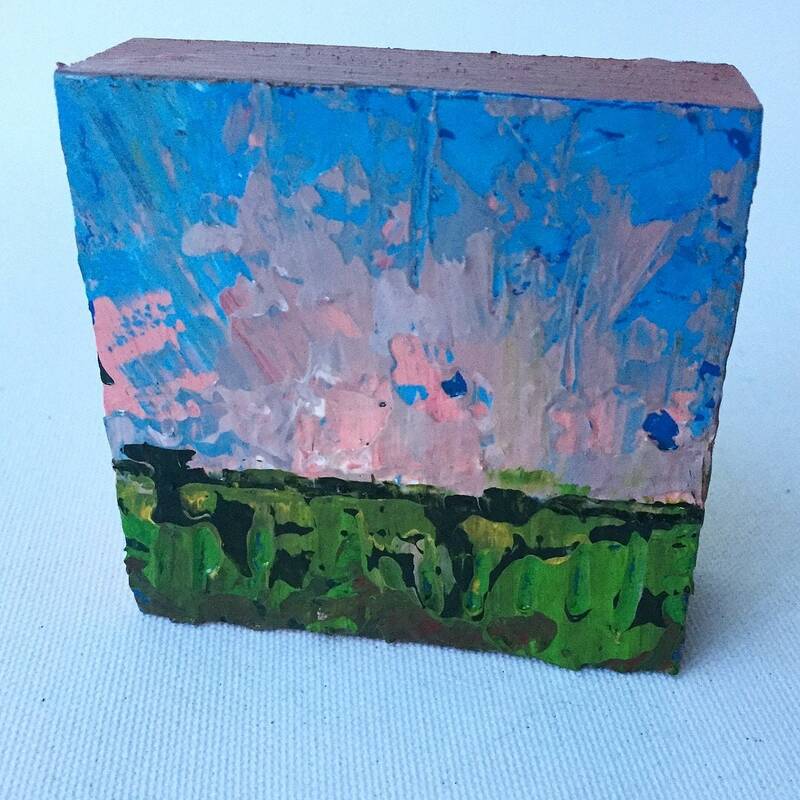 3"x 3" Abstract Landscape on Wood Panel with Acrylic Paint, and Gold Leaf. High Gloss Finish. This is a 100% one of a kind original painting. It can be hung easily with two nails, or stood up on a desk or shelf/mantel. Feel free to message me any questions. I enjoy helping people when I can and respond quickly. Painting ships in 1-3 business days. I am a professional artist based out of Raleigh, North Carolina with 10+ years of experience. I earned my BFA in Fine Art with a concentration in painting and drawing from Appalachian State University. My work explores abstracting the landscape form using experimental color palettes and expressive brush strokes to capture a certain mood of each unique image. 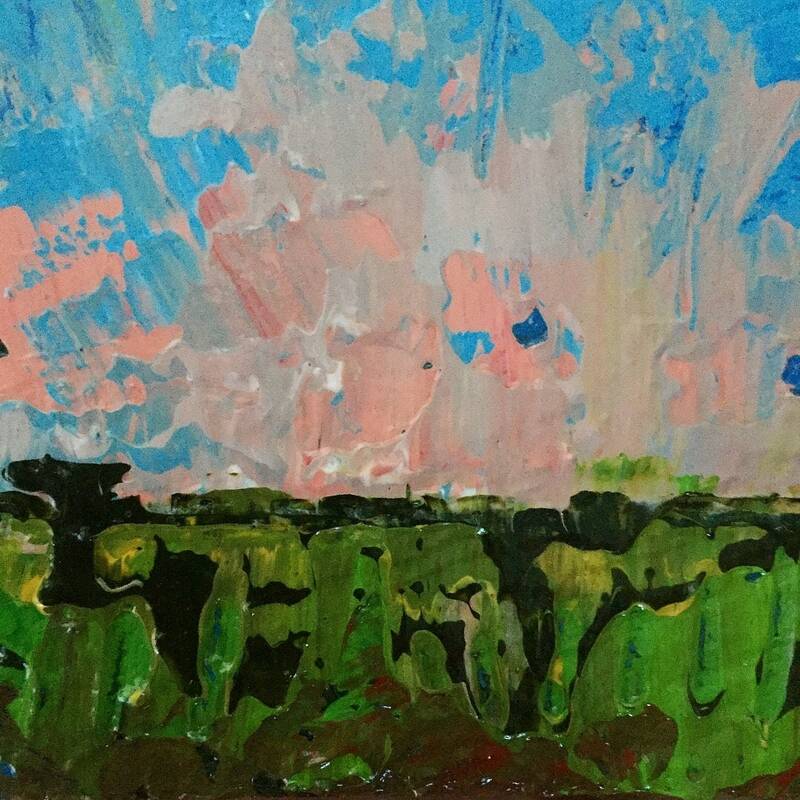 My abstract landscapes are very inspired by Hudson River School and William Turner. My miniature paintings are a way that I can create affordable art that is a one of a kind painting that anyone can afford.